The HGSC is pleased to present the 6th Annual Dr. Dave de Brou lecture! Doors open at 6:30 lecture starts at 7pm. 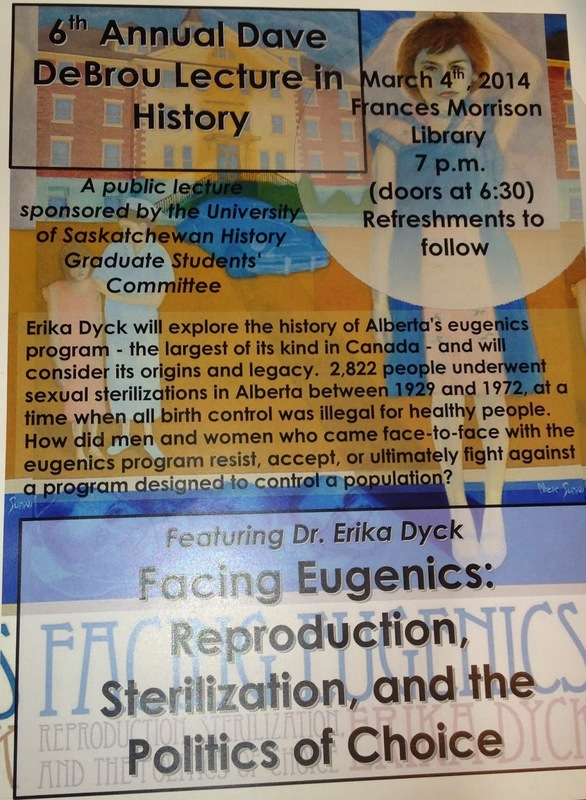 "Facing Eugenics: Reproduction, Sterilization, and the Politics of Choice"
Dr. Erika Dyck will explore the history of Alberta's eugenics program - the largest of its kind in Canada - and will consider its origins and legacy. 2,822 people underwent sexual sterilizations in Alberta between 1929 and 1972, at a time when all birth control was illegal for healthy people. How did men and women who came face-to-face with the eugenics program resist, accept, or ultimately fight against a program designed to control a population?